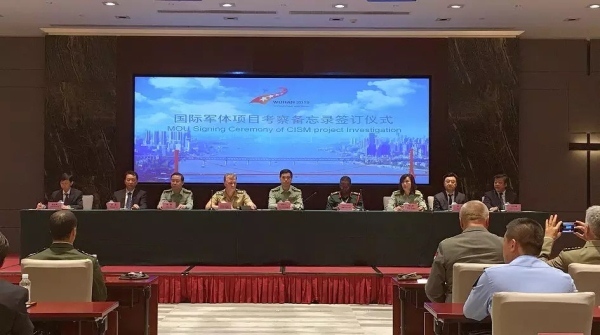 A memorandum of understanding was signed between CISM (International Military Sports Council) Parachuting Competition Committee and executive committee of Wuhan Military World Games, at a ceremony held in Wuhan, capital of central China’s Hubei province, on May 11. 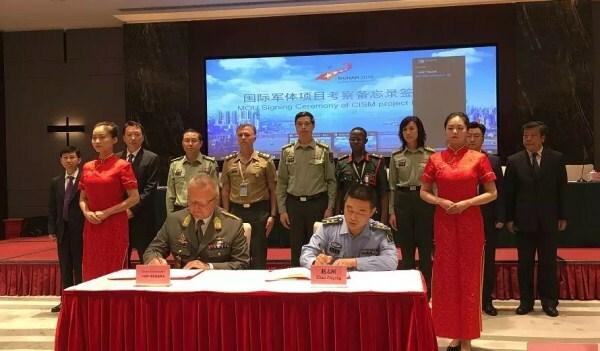 The agreement was signed by Colonel Gernot Rittenschober, director of CISM Parachuting Competition Committee and Zhao Zhigang, head of the parachuting competition committee of Wuhan Military World Games, confirming the city’s suitability to host the parachuting parts of the Military World Games (MWG). The agreements follow a period of checks carried out by CISM Parachuting Competition Committee on Wuhan’s facilities. The games will take place in Wuhan from October 18-27, 2019, with some competitions to be held at Wuhan Economic and Technological Development Zone (WHDZ). The two sides have now reached consensus on items including the venues, lighting, facilities, and drug testing procedures. Parachuting events will take place at Hannan General Aviation Airport in WHDZ, which last year held the World Fly-in Expo, accommodating 500,000 spectators. 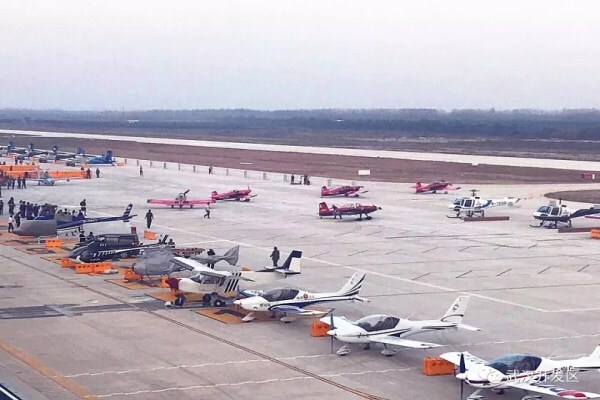 Wuhan is to develop the airport into Asia’s largest general aviation hub, and the airport is fully equipped to host parachuting events during the 7th MWG. Agreements on other aspects of the games are expected to be signed shortly.